New figures* naming Golborne in North Kensington as the joint poorest ward in London on ‘extent measure’ has prompted local Councillors to propose urgent cross-party action. Cllr Emma Dent Coad, who brought the report to light at a rowdy Council meeting last week, states: ‘Extent measure is possibly the most devastating as it shows how widespread is the depth of deprivation. K&C Tories may be surprised, but for Councillors working in this vulnerable area who have already seen endless cuts – not to mention those for the coming year – it is no surprise at all. We are seeing appalling dental health in young children, people of all ages economising on food, threats of eviction, debt, ill health and depression.’ Cllr Dent Coad is already working with local groups who are experiencing cuts themselves, to see how best to work together to target the most needy. As a longer term measure, at the next Council meeting in April, Labour Councillor Pat Mason will propose setting up a cross-party working group to review how a North Kensington Crossrail station – to be named Golborne Station – can be used to regenerate the area. Building on the ruling Conservative Group’s proposal for a Kensal Crossrail station, Labour Councillors will take this further with a new plan that would inspire real community engagement and enthusiasm. This plan considers some earlier ideas from Golborne Councillors for a more modest renewal of the former Kensal gasworks, and links them with plans to tackle some of the obstacles that may delay or obstruct the development of the new station. Cllr. Pat Mason said: “the ruling Conservative Group have some broad proposals around the provision of a Crossrail station. We want to push this forward and hope that both the Conservatives and the Liberal Democrats on the Council will work with us to realise our ambition to improve long-term the living conditions and life chances of North Kensington residents”. The Kensal site is to be used as a worksite for Crossrail until 2018, so there is time for a broad and all-encompassing consultation. Labour’s regeneration plan includes new social rented housing to deal with local over-crowding, unhealthy dwellings and hidden homelessness. New key worker homes will also be built, along with market properties for sale. The site will include The William Rogers Centre for Health and Well-being, named in memory of a respected local resident who sadly died when Edenham Residential Care Home was demolished. The Sainsbury’s store will be relocated to a better position on the site. Shops and business units to let at reasonable rents will be included for local entrepreneurs, including students who will have graduated from the new Kensington Aldridge Academy, with its focus on developing entrepreneurial skills. Labour Councillors are hoping to work with all parties on the Council to pursue this vision. Cllr. 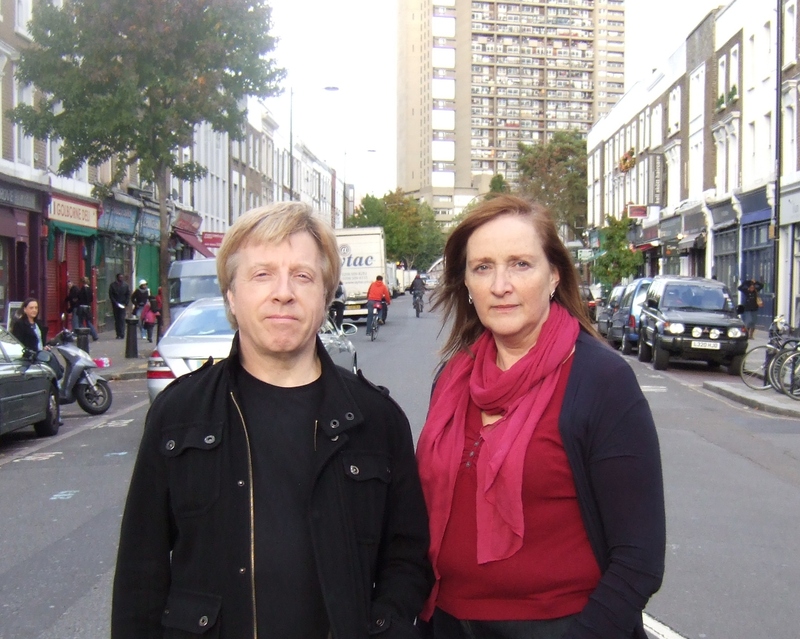 Emma Dent Coad said: “The Council has already earmarked some £30m of its reserves for this development and we are asking them to release some funding now to complete preparatory work and ensure that we are ready to go in 2018 when the station site becomes available for redevelopment”. *The latest report from the GLA Intelligence Unit ‘Ward Level Summary Measures of Indices of Deprivation 2010 update January 2012’ states that Golborne is the joint most deprived ward in London, with Northumberland Park in Haringey, on ‘extent measure’. well and good but how are you going to persuade them to spend what will probably be 50m. on poor/ordinary people instead of simply handing this scheme over to exploitative developers and investors ? They obviously hate this previously Labour ward and as you say elsewhere, wish to ‘obliterate ‘ it. And they would see such an exercise as purely charity for no ‘returns’ as they would compare and contrast the ‘returns’ on 50m. invested globally ,say. Regents Park/Kensington North Constituency and subsumed by Kensington at last election . about 90m. worth of property up for sale then ,117 apartments,8 mews,16 town houses,6 commercial units,probably all will be bought to let, then what will comparative rents for poorer council ,housing trust tenants be ? CAMPAIGN..for sports facilities/football club/ football pitches, for the gasworks/kensal site,..this would please the local residents enormously,…perhaps atract some football stars, athletes, known to the area and put north kensington on the map..
Promote EURO-OLYMPICS ,…for the GREEK ISLANDS ,..for the next ten years,..